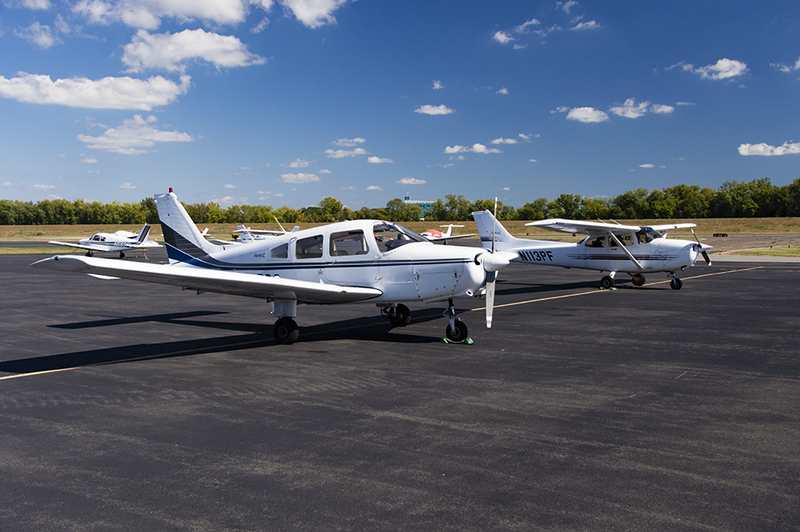 Premier Flight Center’s fleet is comprised of a diverse mix of modern airplanes. You may choose to learn in one of three Cessna Skyhawks (Cessna 172s) and two Piper Warrior IIs. For the advanced student, seeking a complex endorsement or a commercial pilot certificate, we have a Piper Arrow IV. And for the students with professional aspirations, we have a Piper Aztec twin-engine airplane. Premier’s Piper Warriors feature the latest in GPS technology, making them perfectly suited to the instrument flight student. One of the, Warriors of has a Garmin G430W, and the other has a Garmin G530W (with traffic), an STEC autopilot and an HSI. The Cessna Skyhawks are the most popular aircraft ever manufactured, they have an excellent safety record, and are very easy to operate. Their high wing, two door design make it easy to enter and exit the cockpit, and to enjoy the view in flight. All of our Skyhawks are certified for VFR (Visual Flight Rules) and IFR (Instrument Flight Rules). They all are equipped with dual communication radios and dual navigational receivers. Two of our Skyhawks are C172R models. In these models, Cessna installed headset connections at each seat so all passengers are able to easily talk to each other and enjoy a flight that is noticeably quieter. The R models are also equipped with GPS (Global Positioning System) navigators and autopilots, larger fuel tanks and fuel injection.